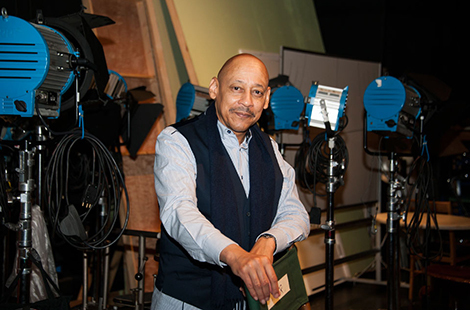 CSUN film professor Nate Thomas’ dedication to his students and the craft of movie making is being recognized by the California State University with one of the system’s highest honors for faculty and staff — the Wang Family Excellence Award. Read more about the award. Thanks to a continuing grant from NASA and the Jet Propulsion Laboratory, two CSUN professors of science education are leading a team to meet the needs of elementary and middle-school children by targeting the next generation of teachers. Read more about the grant. From a walkthrough history museum that will introduce CSUN’s campus to black history, to Super Sunday and the Harambee High School Student Conference, which encourages African-American students to attend college, February will be filled with inspirational events in celebration of Black History Month. Read more about Black History Month. Thu., Jan. 29, 4 p.m. Tue., Feb. 3, 9:45 a.m. Sat., Feb. 7, 1 and 4 p.m.
For 10 years the Roy and Roxie Campanella Foundation and Los Angeles Dodgers Foundation have partnered with CSUN’s College of Health and Human Development to fund scholarships for physical therapy students. At a recent luncheon, these scholars showed their gratitude for the help that has helped make their dreams a reality. Come hear what our CSUN alumni professionals have to share about business models, business development, trends in their fields and more. CSUN microbial ecologist Gilberto E. Flores led a new study that shows that the way bacterial communities change through time is unique to each individual.